In today’s digital agencies and B2B enterprises, digital marketing experts are often the ones called on to lead inbound PR. The crossover between marketing and PR is obvious, but there’s a learning curve: PR has its own lingo, workflow, and tools you’ll need to master. If you’re familiar with influencer marketing, then you’re ready to learn the ropes of inbound PR. Starting with a cohesive, integrated technology stack will allow you to orchestrate effective campaigns without getting bogged down in lots of manual data entry. To take a jump into inbound PR, start with these essential tools. Anewstip is a powerful inbound PR solution most modern offices have in their technology stack. It lets you analyze what’s going on with media influencers – what’s being talked about and how frequently. You can search the database of influencers by articles or social media activity, filter your queries to get the exact results you want, and export them for later use. Boomerang is a great way to help you manage your inbound PR communications as you reach out to influencers and journalists. It’s a full-featured email outreach command center that allows you to schedule messages for optimal timing and then follow up if you don’t receive a response. Automated reminders will keep you on track until you break through. Cision is one of the leading names in inbound PR. Famous for a vast database of media contacts, it also helps you manage the entire PR project lifecycle: That includes distributing PR pieces, monitoring their performance over time, and tracking your mentions. It is widely considered one of the best “all-in-one” solutions out there, running some entire PR offices. CoverageBook is a terrific way to get things firing on all cylinders if you provide outsourced PR to clients. It effectively brings together clear, meaningful data in a visual format that allows the client to see each piece of PR content in context. Hours of work can be condensed into just a few minutes and your weekly or monthly coverage reports won’t sacrifice any quality. Critical Mention stands out from the rest due to its remarkable speed, which brings you near real-time insights into your campaign’s progress. Not only can you search faster, but you can also share and update other stakeholders at the click of a mouse. A formidable set of built-in analytics means you’ll be able to connect efforts to ROI easily. Google Alerts isn’t the most advanced tool out there, but it serves an important purpose within the inbound PR ecosystem – and, of course, it’s free. You can set up news alerts to get relevant headlines as they happen or receive a periodic digest. It’s all delivered straight to your email, so you’ll never miss emerging news on your topics of interest. Help a Reporter Out gives you the chance to connect with journalists by offering your input as an expert source. When you sign up, you’ll start receiving HARO notifications in your inbox as reporters indicate their need to speak to someone in your field. This is an exceptional way for smaller or entrepreneur-led firms to get attention from leading media outlets. 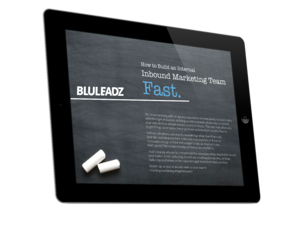 HubSpot is mostly known around here as the brand that created all the top inbound marketing best practices. Its Customer Relationship Management suite is designed to leverage the power of content marketing to draw qualified leads to your website. In the right hands, virtually all of the tools can be used to launch, manage, and monitor an inbound PR campaign. Meltwater is a high-end solution best suited for large and mid-sized enterprises that need to keep watch over a number of sophisticated campaigns. It is acclaimed for its social media monitoring: It goes a step beyond mentions to ensure you can identify the sentiment behind social messaging and the events that drive spikes in organic mentions. TrendKite, now a part of Cision, is a robust and customizable dashboard for inbound PR. Check it out and you’ll see how the partnership makes sense: TrendKite, too, is a lifecycle solution that helps you identify, connect, and leverage relationships. Its potent integrated AI and sleek user interface lets you keep your focus on what matters, no matter how complex your campaign. 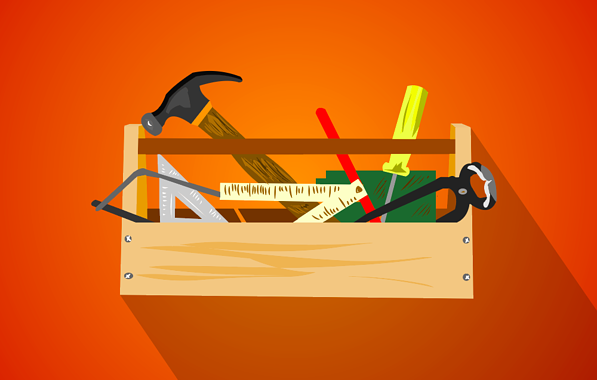 In PR, marketing, sales, and more, your tools reflect your capabilities. They will not only make certain things easier, but also shape how you look at your competitive landscape. With that in mind, it’s important to select the inbound PR tools that really work best for your organization’s needs. With these suites and apps, you’ll be off to a terrific start. Have a different inbound PR favorite? Leave us a comment!